The Creamery Bridge carries an extremely heavy flow of traffic, and, despite its handsome appearance, shows signs of wear and tear. Note the slate roof. 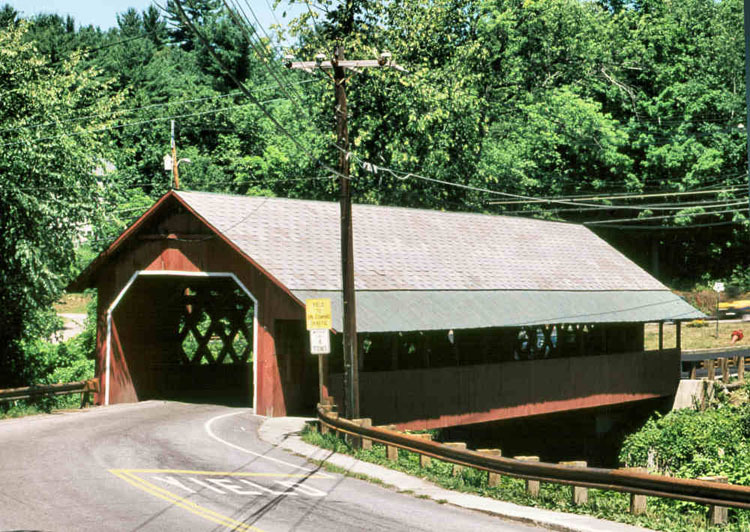 Our thanks to the Town of Brattleboro for allowing the posting of the Vermont Covered Bridge Society Welcome patch. For more information about the Brattleboro area visit their website at www.brattleboro.org.